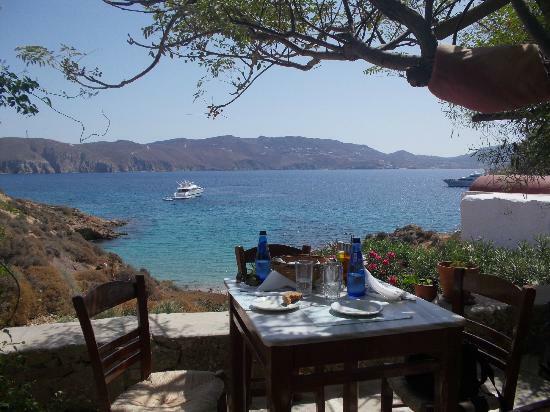 Kiki’s is the most famous “cult” tavern in the island of Mykonos, in the northern beach of Agios Sostis. There is no signal on your mob and you will need a car and some patience to find the place. The amazing lunch though will pay you back and definitely worth visiting and taste the fresh seafood’s and meat grilled on a charcoal barbecue.